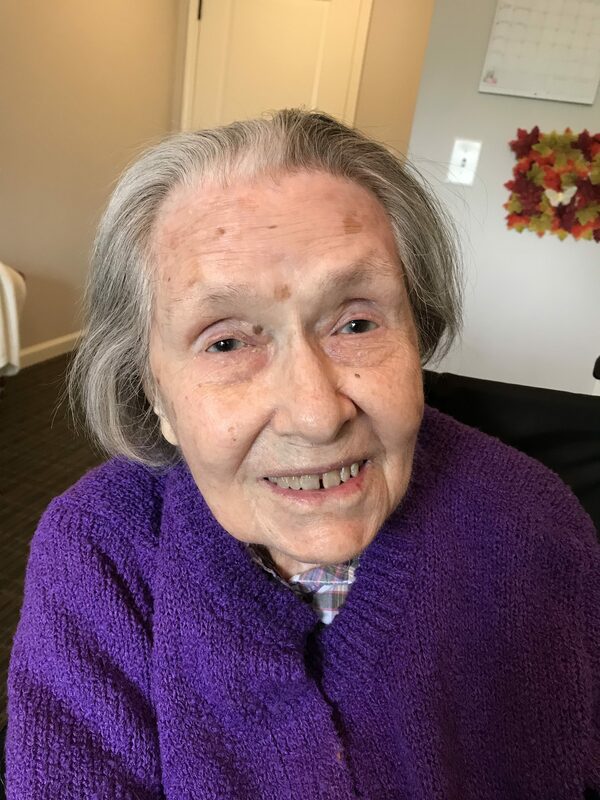 Madeline Wilmot Goodlett, 95, of Tucker GA, passed away Sunday morning March 24, 2019, at the Phoenix of Tucker Assisted Living. Services will be Saturday at 4pm at the B D Ginn Memorial Chapel, with the Rev. Tommy Childress. Interment will be in the Franklin Memorial Gardens North. Her body is at the Ginn Funeral Home, Carnesville. The family will receive friends from 2 until 4pm Saturday afternoon at the funeral home. 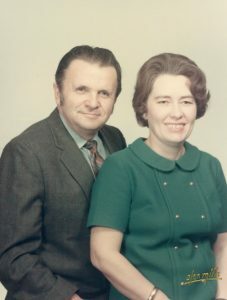 Mrs. Goodlett was born on September 21, 1923, in Franklin County Georgia, to the late Plumer Durant and Vivian McFarlin Wilmot. Mrs. Goodlett was preceded in death by her husband, Robert William (Bob) Goodlett, Jr., a World War II veteran, photographer, and graphic artist who passed away in 1984. She was also preceded in death by her brother, Durant Wilmot of Barnesville, Georgia, and her sister, Nettie Ben Wilmot Cash of Mt. Airy, Georgia. Madeline grew up near Carnesville, Georgia and graduated from Franklin County High School. Madeline’s family lived on a farm, and she had many childhood memories of milking the cows in the morning and picking cotton after school. Madeline attended Piedmont College in Demorest, where she earned her Bachelor’s degree in English Education. After graduating, Madeline taught in Georgia for several years, including the town of Fort Valley. It was there that she met and fell in love with Bob, whom she married in 1950. The newly married couple resided in Meridian, Mississippi, for three years where they owned and operated a photographic studio. They moved to South Carolina in 1953 to be closer to their families. In 1955 they moved to Decatur, Georgia, where they would remain for the rest of their years together. Madeline was a homemaker for many years as she stayed home to raise their two daughters, Beth and Yvonne. During this time Madeline sewed many cute clothes for them. Once the children were in high school, Madeline decided to go back to school at Georgia State University to earn her Master’s degree in English Education so that she could resume her teaching career. She was a substitute teacher in Dekalb County for several years, before becoming a reading teacher until she retired in 1986. After retiring, Madeline made many trips to Florida to visit and help take care of Vivian, Caroline, and Sam, her three grandchildren there. Later, her fourth grandchild was born in Lilburn, Georgia, and Madeline played a large role in helping take care of Kirstin as a young child. They developed a very special bond. Madeline missed her husband terribly after he passed away. She loved to talk about how they first met, how it was a double date she didn’t really want to go on because she had such a busy schedule. She recalled fondly what a gentleman Bob always was during their courtship, and how he told her he knew she was “the one” when he met her. Theirs was a true old-fashioned romance. Madeline loved all types of nature, especially birds and butterflies. She would scatter birdseed outside to make sure the birds were well-fed. She loved to garden and was always proud of whatever was currently blooming in her yard. Madeline also was an avid Atlanta Braves fan, and for many years rarely missed watching a game on television. Madeline’s health began to slowly decline and she became much more unsteady on her feet. She lived with Yvonne for several years and in late 2010 went to Gainesville, Florida to live with Beth. As Madeline’s dementia progressed she moved into an assisted living facility in Gainesville. 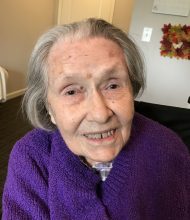 In 2018 Madeline moved back to Georgia, to an assisted living in Tucker. Madeline adored her parents, and always had a very close relationship with her brother and sister. Madeline was a devoted wife, mother, grandmother, and great-grandmother. She was always very proud of her family. She was truly a gentle soul and was kind to everyone she met. Mrs. Goodlett is survived by her daughter Yvonne Goodlett of Lilburn, and daughter and son-in-law, Elizabeth and David Richardson of Gainesville, Florida. Grandchildren are Kirstin Boe, of Lilburn, Samuel Richardson of West Palm Beach, Florida, Caroline Richardson of Indianapolis, and Vivian Richardson and David Harrison of Altamonte Springs, Florida. Great-grandchildren are Eleanor and Lillian Harrison of Altamonte Springs. In lieu of flowers donations may be made to the Alzheimer’s Association, at alz.org. Phone number: 800-272-3900. Mailing address: Alzheimer’s Association, P.O. Box 96011, Washington, DC 20090-6011. The Family thanks you for your love and comments.